Curry contains several ingredients that have a wide range of health-promoting effects, as shown by many scientific studies. One of its main ingredient is turmeric. The number of scientific studies about this incredible spice has exploded in the last years. Turmeric has been shown to prevent or help in the treatment of many diseases, namely type 1 and type 2 diabetes [1, 2], cancer [3, 4], Alzheimer’s disease [5, 6], among many others. Ginger, another ingredient in curry, has also been shown to have many health benefits, such as antimicrobial and antifungal [7, 8] and anti-inflammatory activity [9, 10], among others. Fenugreek was shown to prevent type 2 diabetes in people that already had prediabetes . Cloves also exhibit anti-inflammatory and antibacterial activity . 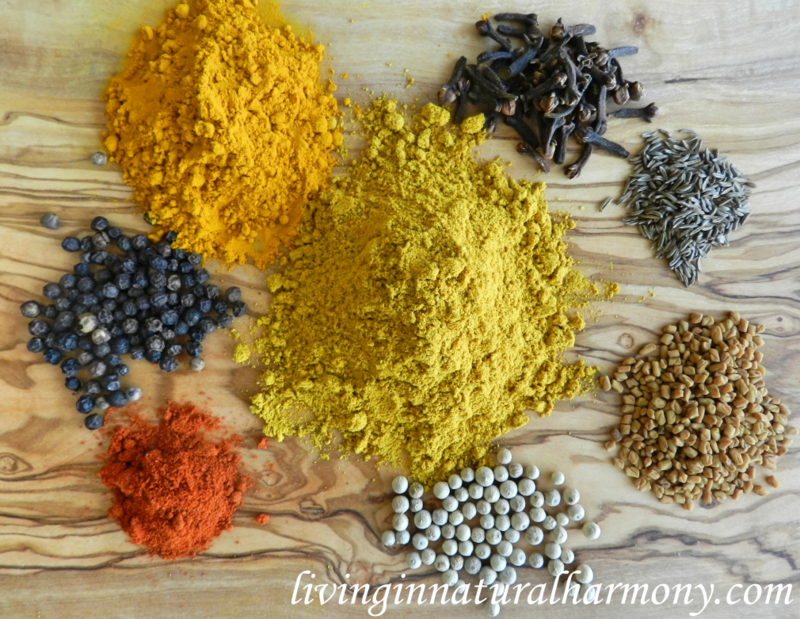 These are only some of the proven benefits of some of the amazing spices in curry. Given that curry contains so many powerful ingredients, I do believe it is a super healthy food that we should try to include in our meals as often as possible. However, there are several versions of curry powder. I remember to have tried rice and chicken with curry in some meals in school when I was young, and I totally disliked it. But now I know that curry can taste really much different. 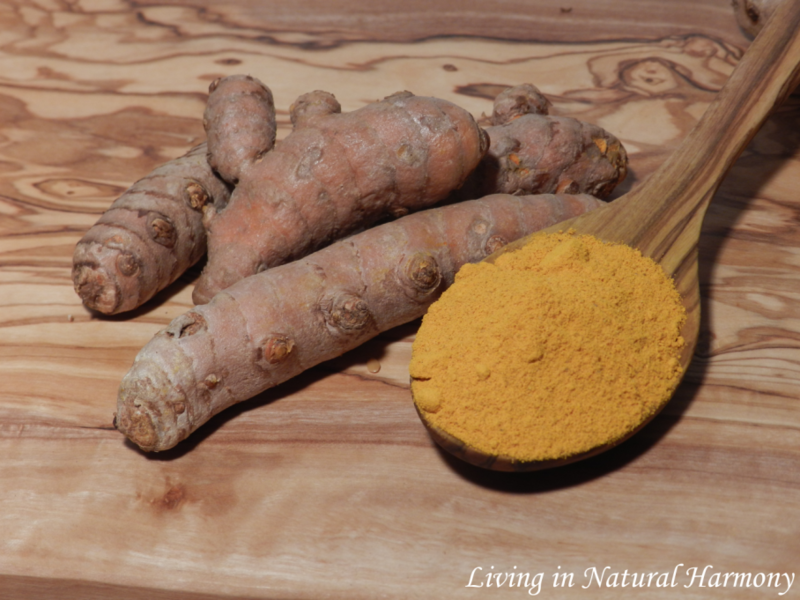 The curry I tried in school had a very light yellow color, which I believe was because it did not contain much of the powerful ingredient turmeric (or curcuma). This one gives it a really dark yellow color. And in my opinion, darker curry powders do taste better. In any case, if you are not satisfied with the curry that you are buying (either because it’s expensive, it doesn’t taste especially good or it doesn’t contain the ingredients that you would like…or maybe contains others that you don’t like), I suggest you give this recipe a try. Below, I give you a list of ingredients and respective amounts you can use in your curry, but feel free to try yourself different combinations of these ingredients. I do encourage you to always buy organic and high quality ingredients for your curry. You can buy them already ground or grind them yourself, for example in a coffee mill. 1.If you bought the whole seeds, grind everything using, for example, a coffee mill. 2.Add everything to a bowl. 4.Store in an air-tight container. I will start publishing recipes where you can make use of this healthy and tasty curry powder :). M. T. Abdel Aziz, M. F. El-Asmar, A. M. Rezq, S. M. Mahfouz, M. A. Wassef, H. H. Fouad, H. H. Ahmed, and F. M. Taha, “The effect of a novel curcumin derivative on pancreatic islet regeneration in experimental type-1 diabetes in rats (long term study),” Diabetol Metab Syndr, vol. 5, no. 1, pp. 75, Nov 26, 2013. C. N. Castro, A. E. Barcala Tabarrozzi, J. Winnewisser, M. L. Gimeno, M. Antunica Noguerol, A. C. Liberman, D. A. Paz, R. A. Dewey, and M. J. Perone, “Curcumin ameliorates autoimmune diabetes. Evidence in accelerated murine models of type 1 diabetes,” Clin Exp Immunol, vol. 177, no. 1, pp. 149-60, Jul, 2014. D. Fong, A. Yeh, R. Naftalovich, T. H. Choi, and M. M. Chan, “Curcumin inhibits the side population (SP) phenotype of the rat C6 glioma cell line: towards targeting of cancer stem cells with phytochemicals,” Cancer Lett, vol. 293, no. 1, pp. 65-72, Jul 01, 2010. K. Piwocka, A. Bielak-Mijewska, and E. Sikora, “Curcumin induces caspase-3-independent apoptosis in human multidrug-resistant cells,” Ann N Y Acad Sci, vol. 973, pp. 250-4, Nov, 2002. G. P. Lim, T. Chu, F. Yang, W. Beech, S. A. Frautschy, and G. M. Cole, “The curry spice curcumin reduces oxidative damage and amyloid pathology in an Alzheimer transgenic mouse,” J Neurosci, vol. 21, no. 21, pp. 8370-7, Nov 01, 2001. R. D. Shytle, P. C. Bickford, K. Rezai-zadeh, L. Hou, J. Zeng, J. Tan, P. R. Sanberg, C. D. Sanberg, B. Roschek, Jr., R. C. Fink, and R. S. Alberte, “Optimized turmeric extracts have potent anti-amyloidogenic effects,” Curr Alzheimer Res, vol. 6, no. 6, pp. 564-71, Dec, 2009. M. Park, J. Bae, and D. S. Lee, “Antibacterial activity of -gingerol and -gingerol isolated from ginger rhizome against periodontal bacteria,” Phytother Res, vol. 22, no. 11, pp. 1446-9, Nov, 2008. Q. Liu, X. Meng, Y. Li, C. N. Zhao, G. Y. Tang, and H. B. Li, “Antibacterial and Antifungal Activities of Spices,” Int J Mol Sci, vol. 18, no. 6, Jun 16, 2017. R. Grzanna, L. Lindmark, and C. G. Frondoza, “Ginger–an herbal medicinal product with broad anti-inflammatory actions,” J Med Food, vol. 8, no. 2, pp. 125-32, Summer, 2005. A. Al-Nahain, R. Jahan, and M. Rahmatullah, “Zingiber officinale: A Potential Plant against Rheumatoid Arthritis,” Arthritis, vol. 2014, pp. 159089, 2014. A. Gaddam, C. Galla, S. Thummisetti, R. K. Marikanty, U. D. Palanisamy, and P. V. Rao, “Role of Fenugreek in the prevention of type 2 diabetes mellitus in prediabetes,” J Diabetes Metab Disord, vol. 14, pp. 74, 2015.